I’m nutty about making my own moisturizers, healing salves and anti-aging face oils. One ingredient I love to incorporate into my concoctions is apricot kernel oil. It’s light, easily absorbed and has a faint fruity fragrance. It feels great on my skin and is packed with nourishing fats and vitamins. Along with olive oil, coconut oil, tamanu oil and sweet almond oil, apricot kernel oil is one of my go-to’s for an all-around great skin oil. Let’s dive into the details and how you can best use this oil for beauty and health. Like many nuts and seeds, apricot kernels are rich in fats. When pressed, they produce an oil that contains many beneficial compounds including antioxidants, vitamins and fatty acids. Apricot kernel oil is popular in the cosmetic industry and with aromatherapists and massage practitioners due to its nourishing qualities and pleasant texture that is good for all skin types. The oil is extracted by first soaking the pits in water, then subjecting them to mechanical pressure which causes the oil to separate from the fibrous parts of the pit. The crude cold-pressed oil has a golden yellow color which becomes paler when the oil is refined to cosmetic grade. Apricot kernel oil is a common choice for those who would like to use sweet almond oil but have a nut allergy. The oils are of a similar light weight and both have a subtle pleasant scent. Apricot kernel oil contains a variety of beneficial fatty acids from the omega-3, 6 and 9 groups. Oleic acid, linoleic acid and alpha-linolenic acid are all known to reduce inflammation, slow the signs of aging, and promote healthy skin and hair. Palmitic acid and stearic acid are also found in apricot kernel oil. These fatty acids are lightweight and nourishing giving the oil its easy to use, pleasant feel that makes it so flexible in formulations. Apricot kernel oil is also rich in antioxidants and vitamins A, C and E. These nutrients mean this oil can’t be beat when it comes to supporting skin healing and protecting your complexion against sun damage and signs of aging. How to get started with this versatile oil? Here are a few ideas to incorporate it into your natural wellness routine. One of the easiest ways to get the benefits of apricot kernel oil is to simply use it as a massage oil. We tend to concentrate the use of nourishing oils on our faces, but what about all that other skin? Since apricot kernel oil contains constituents that keep skin firm and elastic, and protect against skin cancer, all of the skin on your body can benefit. What a great excuse to start treating your partner to regular massages, and hopefully they’ll give you one back! Apricot kernel oil has a nice subtle scent, absorbs well, and has a light texture. Simply add a drop or two of your favorite essential oil, warm up the oil in your hands, and get massaging. Apricot kernel oil contains antioxidants which are known to have positive effects against the visible signs of aging. For example, they can reduce age spots and prevent the formation of skin cancer cells. For this reason, apricot kernel oil is a great option for use as a night cream. You can simply use it on its own and apply sparingly to the face, neck and decolletage, or blend with other nourishing oils like avocado or evening primrose. In Traditional Chinese Medicine, apricot kernel oil is used topically to treat inflammation in the body including swelling, ulcers and tumors. It can also help soothe inflammatory skin conditions like eczema, psoriasis and rosacea. Blend apricot kernel oil with a few drops of rosemary and tea tree essential oils and apply gently to affected areas. Thanks to its vitamin E content, apricot kernel oil is helpful in repairing damaged skin, and fading unwanted marks like scars and blemishes. The nourishing fats and vitamins can also soothe rough patches on the elbows, knees, feet and hands. If your skin needs some gentle hydration and healing, make a salve by melting together one part apricot kernel oil, one part avocado or olive oil, one part coconut oil and one part beeswax. Use a double boiler to melt the beeswax, then add the oils and blend well. Once the mixture is off the heat, add a few drops of lavender essential oil, then pour into containers for cooling and storage. Add softness and shine to hair while also conditioning your scalp with an apricot kernel hot oil hair mask. Gently warm the oil in a double boiler and apply to the hair. Wrap in a towel and let sit for 20 minutes before rinsing or washing with a natural shampoo. The astringent quality of apricot kernel oil may also help to slow hair loss. Since apricot kernel oil has a light texture and only minimal scent itself, it makes an effective carrier for any essential oils you’d like to apply topically. Mixing essential oils with a carrier oil makes brings them to a safe dilution for applying to the skin. Invigorate the skin and stimulate regeneration with a face scrub — just mix 1/3 cup raw sugar, a tablespoon of apricot kernel oil and your favorite essential oils. Apply to the skin using circular motions, then rinse off with warm water. Another use for this versatile oil is supporting digestion. It’s known to support the movement and elimination of waste through the digestive system, so if you’re constipated, try massaging your belly with a teaspoon of apricot kernel oil mixed with two drops of peppermint essential oil and two drops of fennel essential oil. Now that you know how to use apricot kernel essential oil, why not pop down to your local natural health store and stock up! Hey Buddy!, I found this information for you: "19 Benefits Of Apricot Kernel Oil For Beauty And Health". 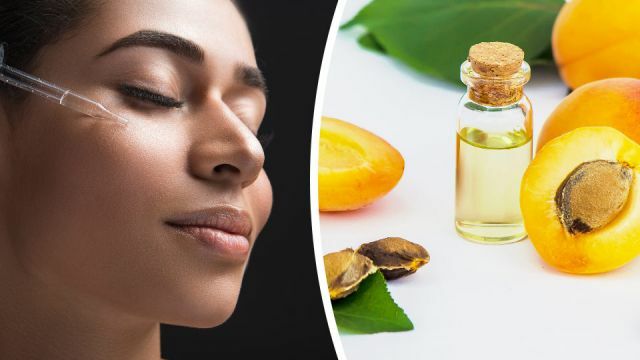 Here is the website link: https://www.thealternativedaily.com/19-benefits-of-apricot-kernel-oil-for-beauty-and-health/. Thank you.